Because I make almost everything I sell it opens up a lot of options for my customers. 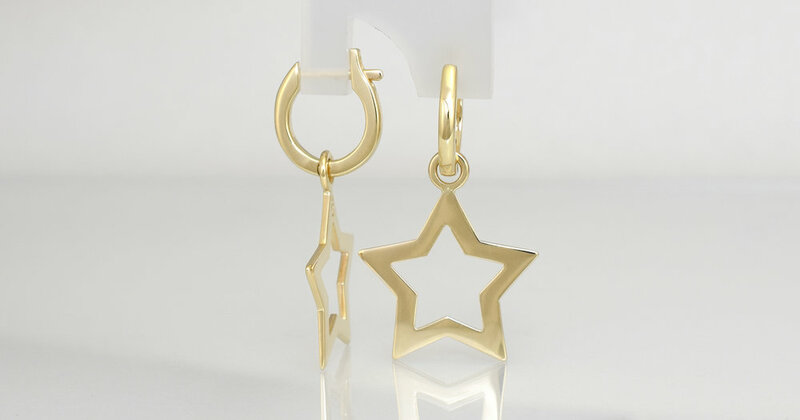 These earrings are a great example. This young lady wanted to buy a pendant to give to her grandmother. The trouble with pendants is that the addition of a strong chain, especially in gold, can blow the budget out. 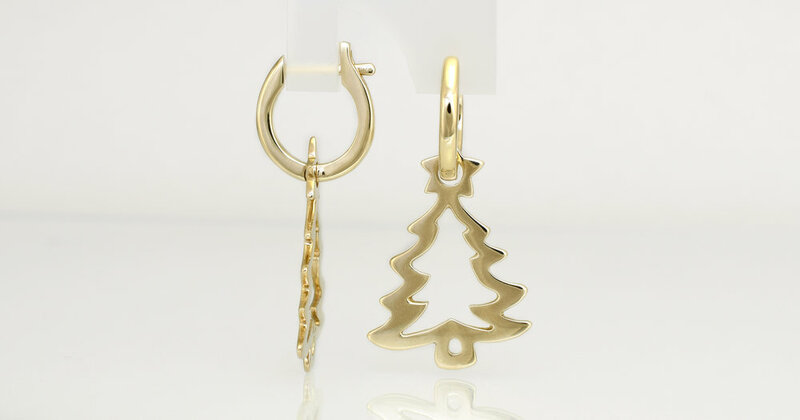 I suggested that we look at some earrings in a design that had a matching pendant that could be added later. The customer liked this flower design above. 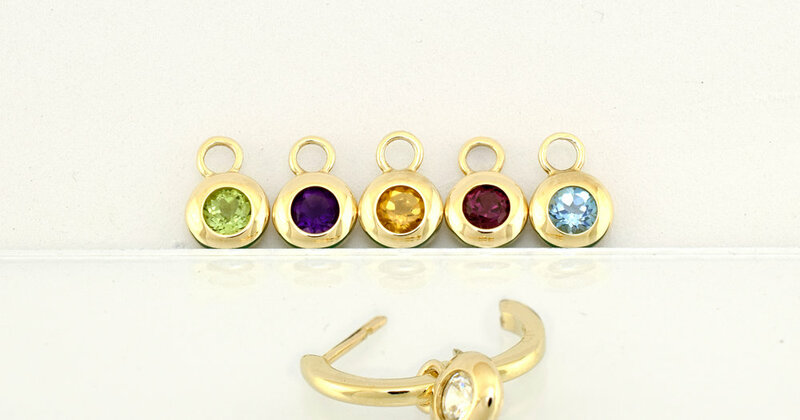 My idea was to create a version of the above stud earrings in a drop that would slip onto a clip hoop. Her grandmother could resuse the clip hoops with a variety of other drops that she could add later. This would make the addition of drops far less expensive than buying the full earrings and would also be a far more affordable gift option for others. 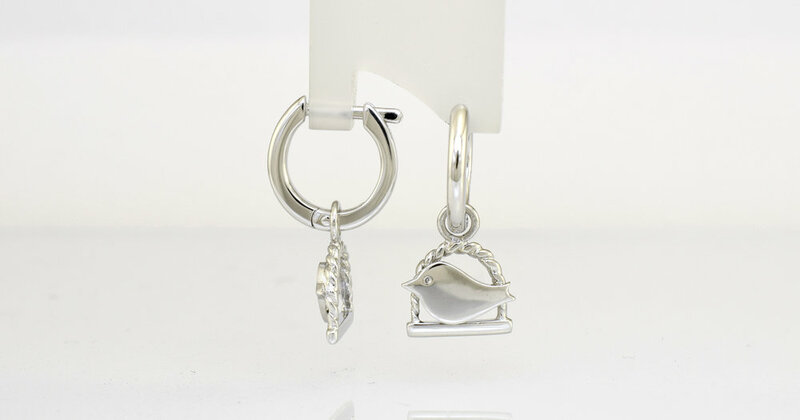 As you can see from the above photos the earrings are shown in a rose gold and the pendant in Palladium Sterling silver. I can make almost all of my pieces in the precious metal of a customers choice. This young lady was tossing up going all yellow gold or white gold for the flower with the yellow gold clip hoop. 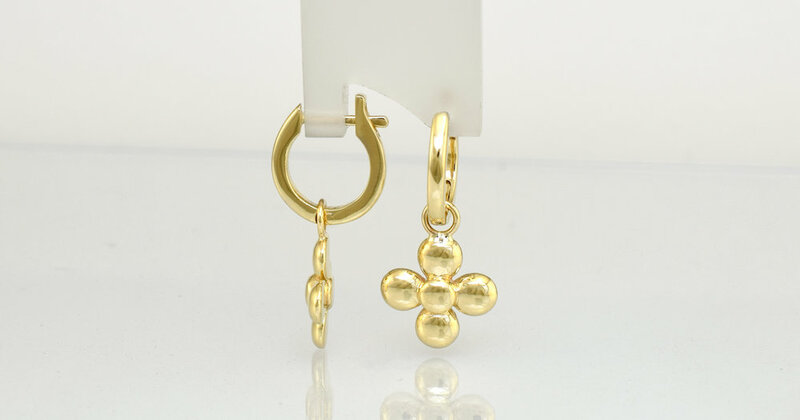 The idea of using yellow gold for the clip hoop would give her grandmother a greater variety of drops to wear reuse them with. Below are some of the design options that I have currently available to wear on these clip hoops. The gemstone to be used was the grandmother`s birthstone which could be either Opal or Tourmaline. She decided to use pink Tourmaline in a white gold flower hanging from a yellow gold hoop. Pink Tourmaline in 9ct yellow and white gold clip hoops.